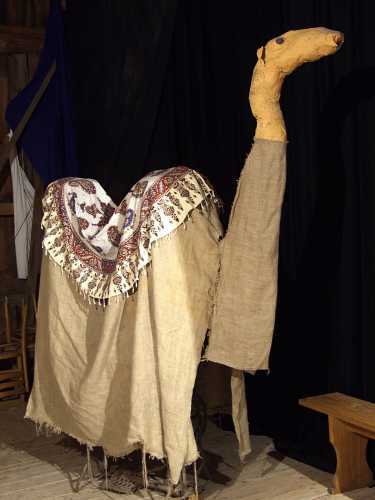 Now it is time to present The Camel. He joined the entourage of carnival figures in 2006, as a animal symbol of the Islamic world. He was created by Mutka, Wacek, Jasiek and Magda: Mutka and Wacek made his body while Jasiek and Magda made his head from a plastic water bottle.